Well, how about that: the Sussex Police in the UK has just ran a most interesting and praiseworthy campaign as part of the effort to curb motorcycle theft in the area, visordown reports. 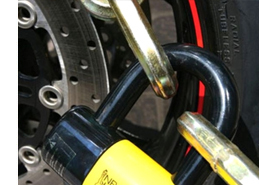 The local force has made an agreement with one of the motorcycle parts stores in the area, and offered sets of bike chains and padlocks to the owners of bikes up to 125cc. Working on a first-come-first-served basis, the campaign made 50 bike owners happy, while most likely showing many others the importance of protecting their property. The first 50 owners with papers in order have been handed a special voucher which allowed them to take home a set comprised of a Sword chain and a Balster padlock. The best part of the deal is that the set, worth £40 (€50 or $55) was offered for £5 (€6 or $8), after the police voucher rebate. 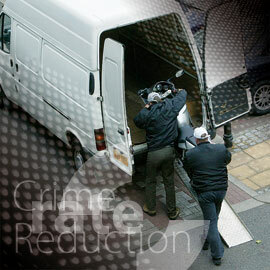 In the UK, the Datatag MASTER anti-theft program is working, with more manufacturers including it as a part of the deals they offer their clients, while the MASTER registration has also become available for older motorcycles, as well. Follow the link to find out how the Datatag MASTER program works, or skip to these must-read anti-theft guides.